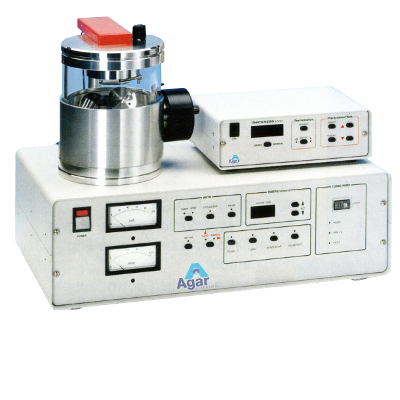 This is a compact, low cost, microprocessor-based film thickness monitor for use with the Agar range of coating units. The High Resolution Sputter Coaters offer real solutions to the problems encountered when coating difficult samples for FESEM imaging. FESEM applications need extremely thin, grain-free, uniform coatings to eliminate charging and to improve contrast on low density materials. In order to minimize the effects of grain size we offers a full range of coating materials and gives unprecedented control over thickness and deposition conditions. The Turbo Pumped High Vacuum System offers a wide range of operating pressures allowing precise control of both uniformity and conformity of the coating, minimizing charging effects. The HIGH / LOW chamber configuration allows easy adjustment of the distance from target to sample. The High Resolution Thickness Controller has a resolution of better than 0.1nm. 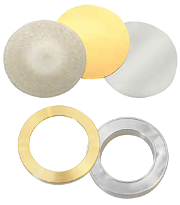 This enables precise and reproducible thin coatings, especially in the range of 0.5 - 3nm, a thickness desirable for FESEM applications. This system is available in a number of configurations to enable to deliver the best high resolution coatings for your applications. It can be supplied with a standard rotary backing pump or a dry scroll pump for clean room applications. The standard instrument includes both Chromium and Platinum/Palladium as target materials. Precision Thickness Control. 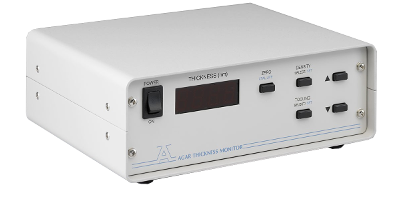 Thickness optimized for FESEM operating voltage using the High Resolution Thickness Controller. Multiple Sample Holders. Four sample holders are provided to accommodate sample sizes as large as 32mm diameter of up to 6 stubs per holder. Variable Chamber Geometry. Chamber geometry is used to adjust deposition rates from 1.0nm/sec to 0.002nm/sec to optimize structure. Coating system with 150mm diameter chamber , 165 - 250mm variable height. Cr & Pt/Pd targets or Ir target.